Sarmiento Suites는 완비된 주방을 갖춘 널찍한 객실을 제공합니다. 부에노스 아이레스 시내에 위치한 이 숙소는 플로리다 거리에서 단 1블록, 다양한 관광 명소에서 가까운 거리에 있습니다. 전역에 무료 Wi-Fi도 제공됩니다. 스위트룸은 1, 2, 3베드룸으로 구성되어 있으며, 각각 2, 4, 6명까지 투숙이 가능합니다. 모든 스위트룸은 인터넷 서비스, 케이블 TV, 전화기, 안전 금고와 에어컨을 갖추고 있습니다. 객실 요금에 유럽식 조식이 포함되어 있으며, 추가 요금 없이 객실에서 식사를 즐기실 수 있습니다. 매일 아침 커피, 차, 우유, 오렌지 주스, 크루아상, 토스트와 과일 샐러드로 구성된 맛있는 조식을 드셔보십시오. 예상 도착 시간을 Edificio Sarmiento에 미리 알려주십시오. 예약 시 별도 요청란에 기재하거나 예약 확인서에 기재된 숙소 연락처로 직접 연락하셔도 됩니다. Clean, Comfy and great location! It was a pleasant stay, room is big and clean. Location is superb. 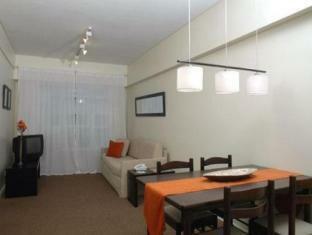 Mint condition appartment, great location, nice staff friendly and helpful. 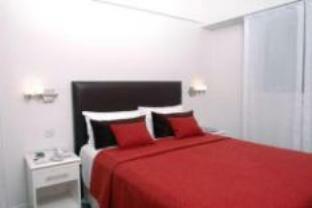 Located in the city center, and the room has a dining table, a kitchen and a balcony. This hotel is located in the city center, a block away from the Florida Street. 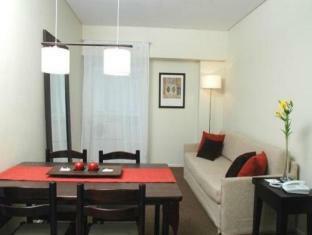 The room is big enough, with a dining table, a kitchen and a balcony. The staff members are very kind though they don't speak English. Computers are on the ground floor and the Internet connection is available. Seperate rooms - bedrooms, living room, kitchen, and bathroom. The lifts were a little dated. 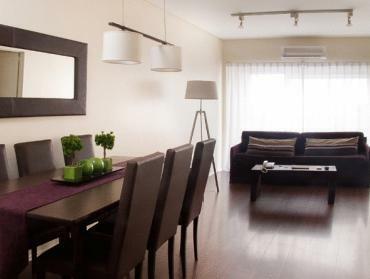 The Sarmiento Suites were good value for money given their decor and cental location in Buenos Aires. The staff were all very pleasant and accomadating. There was a small gym with a runing machine, bike and weights that guests can use for free. Also were were able to use wi-fi in our room for a small amount of money. It was nice to have seperate rooms, so that we flet as thought it was our own private flat.